As part of its customer service and VoIP solutions, Snom has launched a video library so that consumers can peruse its products. The Snom channel is also available on the company blog and gives a good idea of the features of products such as the snom 821 OCS edition. Those features include interoperable presence ability, the directory search function, how to handle the device's locking capabilities and how to access the contact list. 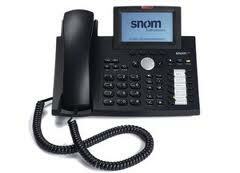 One of the products that Snom is really promoting at the moment is the snom ONE plus IP PBX system, a hardware solution for medium sized companies that need easy-to-use and reliable VoIP. The snom ONE plus IP PBX system works best for between five and 150 employees, but the company describes it as being among the market's most scalable plug-and-play systems. 0 Response to "Snom Launches VoIP Video Library"